With the Concordia Online MBA program, students are paired with a faculty member to guide their studies and coach the students. How is this mentorship program executed to meet the unique needs of students in the Online MBA? Every CSP student is paired with one of CSP's full-time faculty as their mentor. Their faculty mentor will connect with them through classroom work, phone calls, meeting or WebEx. CSP Online MBA programs include MBA with an Information Technology distinction, MBA with a marketing analytics concentration and MBA specialization in Health Care Management. Can you expand on CSP's concentration in these 3 unique areas? Our Information Technology (IT) graduate program is an MS and does not fall under the MBA program but prepares graduates to lead in the workplace with a curriculum that blends technology and business management skills. The Master of Science in Information Technology Management program is designed to help students achieve their academic and career goals in the information technology field. The Health Care Management specialization keeps students up-to-date regarding current trends in the health care industry so students can see how business principles to affect these trends. CSP does not currently offer Marketing Analytics. CSP students enrolled in the MBA program will work as a cohort throughout their classes and coursework. CSP utilizes the Blackboard Learning platform where they can easily interact with faculty and their peers. In addition, students can access faculty via email and phone. What is unique about the structure of CSP's online MBA program? Each course within the MBA program is 7 weeks long and delivered online, one course at a time. Our program designed for busy working adults. Students are able to complete the program within two years. CSP offers online students access to career coaching, mentorship and more via your MAP program. Can you share how this program helps students prepare for their careers post-graduation? Our MAP (Managerial Application Portfolio) program sets students up for success throughout their studies and post-graduation. Because the large majority of our students are already in the workforce, they often see more opportunities opened up in their employment while in school. Students have the chance to apply their learning to their job and therefore employer benefits by the student cultivating on-site learning and growth opportunities. Please describe any opportunities for internships opportunities as part of the Concordia University Online MBA? Internships are not required for MBA students but our Career Services Department can help facilitate the internship process for any students interested in one outside of course work requirements. There is no time like the present. 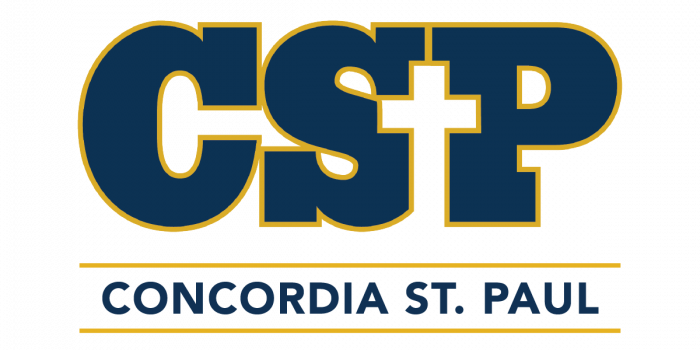 When you pursue your MBA at Concordia University, St. Paul, you will gain knowledge, practical experience and confidence to succeed professionally. Thanks to Craig Lien for participating. For more interviews, check out our Online MBA Report Interview Series.